Description:Recommended enhancement: Hybrid. You have been chosen to lead the Paladin order into battle. All that is dark will break before you in waves as you shatter the forces of evil with your unique connection to the light! Description: Shoots a ball of holy fire at your foe causing damage over time and a decrease in Crit for as long as your foe burns. Damage increase with each additional party member. Does moderate magical damage to 1 enemy target from a long distance. Purifying Flame DoT amount does not increases with each additional party member, lasts 10 seconds. Description: Heals you and your allies. The Heal grows strong with each person added to your party! Note: Can heal up to 20 friendly targets (yourself + 19 allies). Description: Stacks up to 5 times. Strike that does low damage but slows your enemy with each stack. Has a chance to stun Undead foes for 4 seconds. Does 100% weapon damage to 1 enemy target in melee distance. Undermine does not actually reduce haste, instead decreases damage by 5% with each stack. Stacking up to 6 times and lasting 12 seconds. Description: You send out a wave of light that damages all enemies in range and reduces their damage for a short time. Effects grow stronger with more people in your party. Does moderate magical damage up 5 enemy targets from a long distance. Light Wave lasts 10 seconds. Description: Your target suffers a massive blow from an unseen divine helper. 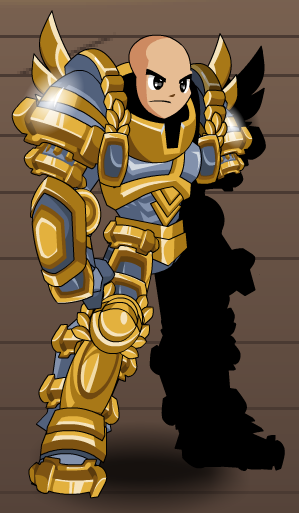 Previously called "Paladin High Lord Class". 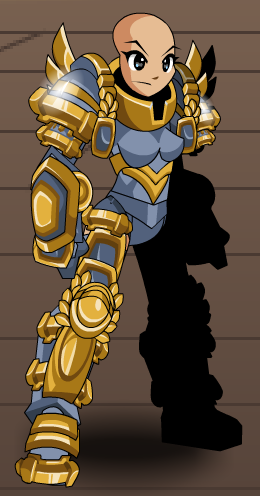 Also see List of all Paladin Armors. Thanks to Respup, Rezurrect and Syudanco.